I have a big cruch on those old vintage valentines that show up on Pinterest this time of year. I wish I had a bundle of those pretties to send out to all my family and friends! When I saw this one, it reminded me of a gingercake pattern. It turned out so cute! I love his scarf and hat so much. 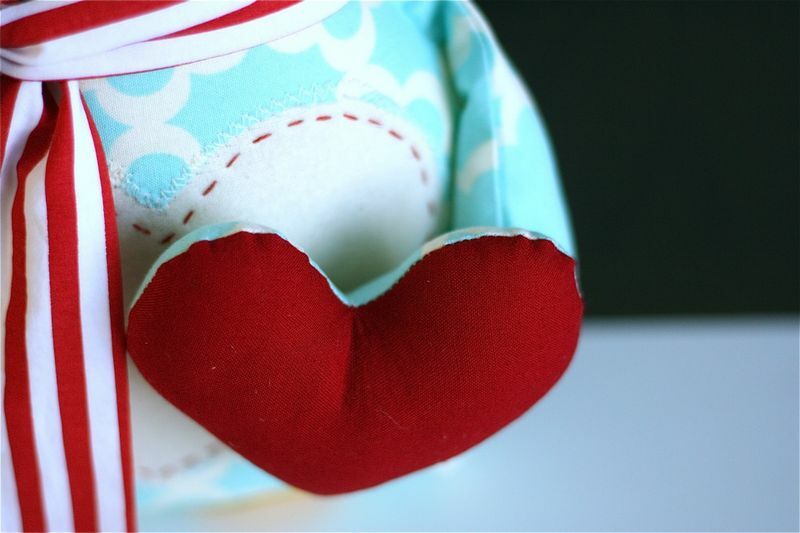 And then the heart (made from using the cut out belly!) really makes him special. 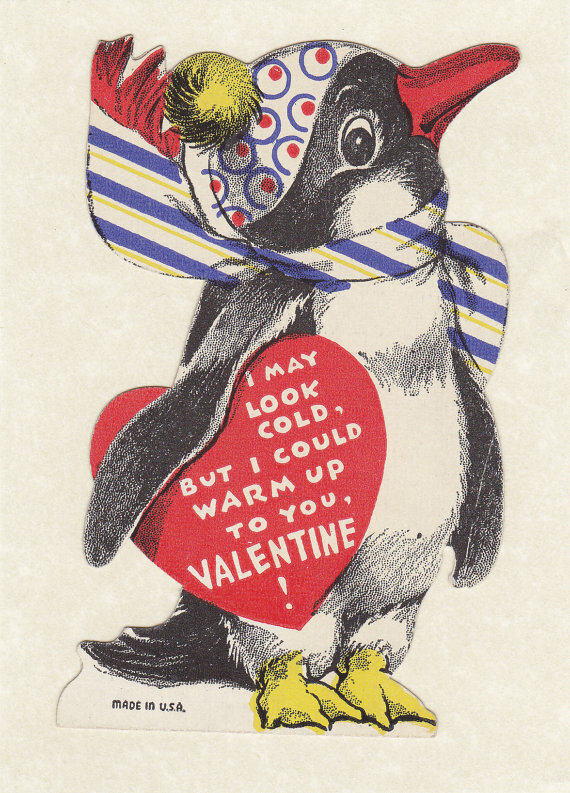 The Valentine version of the Annie's penguin has a heart shaped belly, scraf, hat and is holding a cute little stuffed heart. Do you want to make one too? It is really easy. 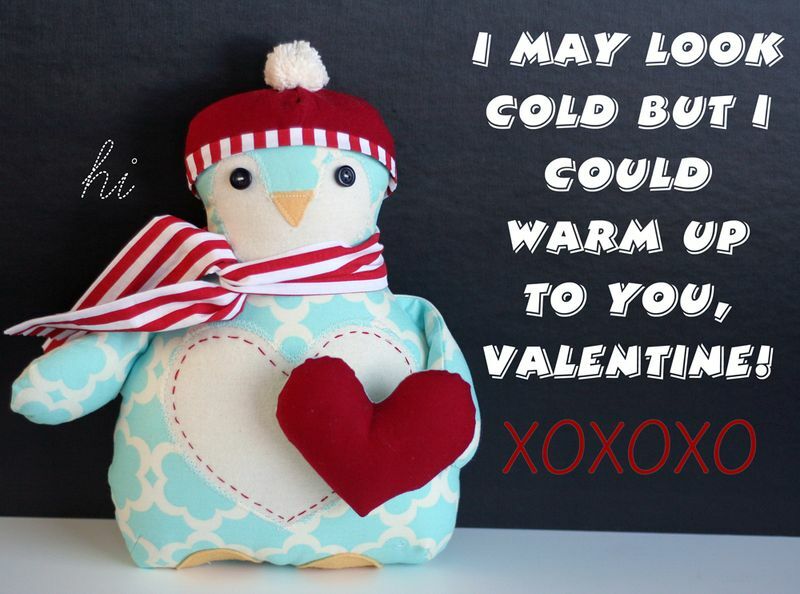 If you already own the Annie's Penguin Pattern, simply use these FREE instructions to convert your Penguin into this Valentine version. Good news to those of you who do not own this cutie ba tootie pattern already! 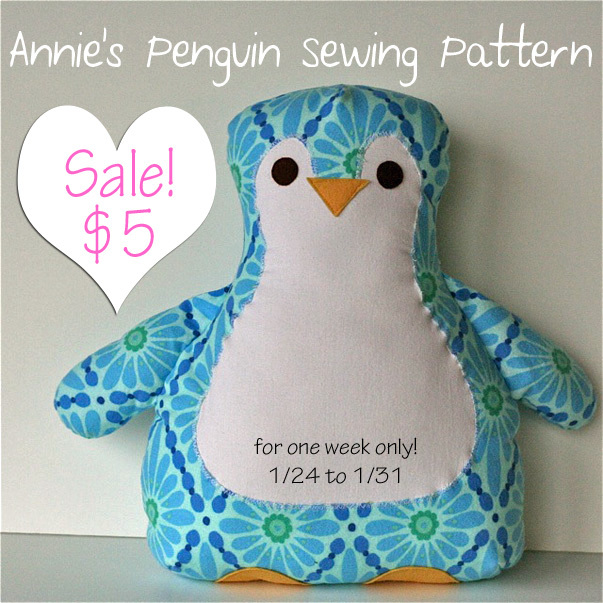 In honor of the Valentine Penguin version, I am going to make Annie's Penguin on sale for only $5 this week. So, head over to the shop and get your penguin pattern! Send me an email or post on the Gingercake Facebook page if you make a Valentine version. I would love to see it! So cute. Love the fabric choices too! 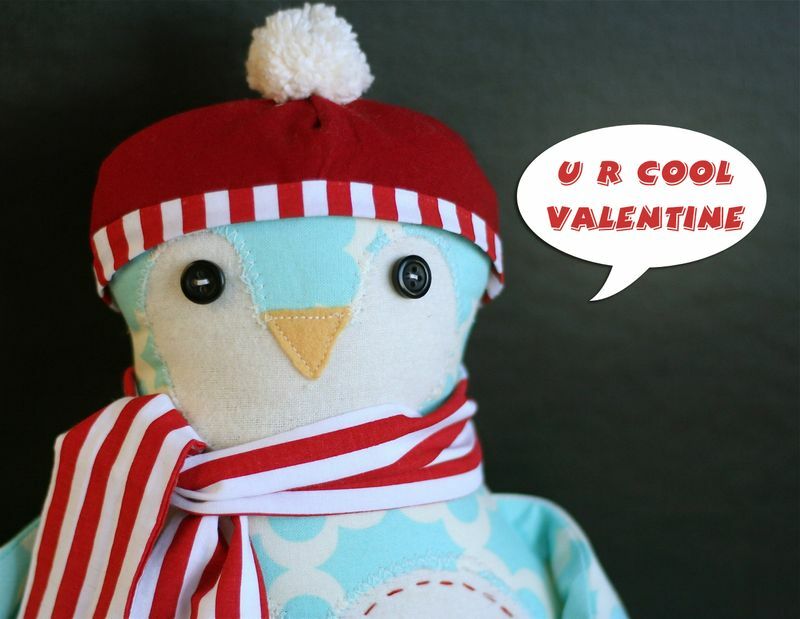 I have the pattern, so thank you for the Valentine’s version – so cute!